The Indian working parents have a lot to cheer about with respect to the national crèche guidelines, although the same might not be true for Indian employers. The Crèche Guidelines are a relief for they do answer some open issues, however, they also raise additional ambiguities and pose added compliance burden for the employers. In terms of the Maternity Benefit Act, 1961 (the "MB Act"), as amended by the Maternity Benefit (Amendment) Act, 2017 (the "Amendment Act"), a new provision was introduced which requires establishments having 50, or more employees to have a crèche facility within the prescribed distance, either separately or along with other common facilities. The Amendment Act, however, did not provide any clarity on aspects pertaining to the crèche facility, more significantly, about how the crèche facilities need to be provided and who bears the cost burden. In the absence of any comprehensive rules or guidelines for the implementation of the crèche facility provision, the Ministry of Labour and Employment vide its notification dated 17th November 2017, required the State Governments to frame rules regarding the facilities to be provided in the said crèches. Overall, the State Governments (barring a few) failed to rise to the challenge and issue any rules or guidelines governing crèche facilities. Up till now the employers were drawing guidance from other employment and social welfare legislations which have provisions dealing with crèche facility. The Ministry of Women and Child Development, Government of India, recognized the need to prescribe a list of minimum standards and norms to standardize the quality of crèche facilities, which could be followed by employers nationwide. The Ministry of Women and Child Development recently, vide its office memorandum dated 2nd November 2018, issued the "National Minimum Guidelines for Setting up and Running Crèches under Maternity Benefit Act, 2017 (the "Crèche Guidelines"). The Crèche Guidelines are to be used as a source of reference for government offices, companies and all other establishments under the purview of the MB Act. This article examines the requirements prescribed under Crèche Guidelines and highlights the key areas of compliance from an employer's perspective. Group of Children - The crèche facility is for children of age groups of 6 (six) months to 6 (six) years of all employees including temporary, daily wage, consultant and contractual personnel. Distance of crèche- It should be located near/at the work place site or in the beneficiaries' neighborhood within 500 (five hundred) metres. Timings- The crèche timings can be flexible depending on the working hours and timings of the parents which should ideally mean for 8 (eight) to 10 (ten) hours. Space- The crèche centre should have a minimum space of 10 (ten) to 12 (twelve) sq. ft. per child to ensure that children can play, rest and learn. Human Resource- There is a recommended adult child ratio with helpers, one crèche in charge and one guard to be employed in a crèche unit of up to 30 (thirty) children. Records- Requirement of maintaining stock registers and attendance registers for staff and children and certain admission forms to be filled. Monitoring and supervision- A Crèche Monitoring Committee to be set up comprising of representation from the parents, one crèche in-charge, one crèche worker and one admin/HR person. Training- Prior to starting work with the children at the crèche, all the workers of the crèche need to undergo a pre service training of 5-6 months. There is an exhaustive list of norms and standards to be followed in a crèche on matters like crèche environment, equipment, safety and protection, health and nutrition practices, hygiene and sanitation practices and crèche activities. A key aspect of these guidelines is the formulation of a Child Protection Policy as per the sample policy provided which prescribes the appointment of a Complaints Committee to investigate and address complaints relating to any child abuse. Amongst the few States that have legislated rules under the MB Act, we have examined the rules prescribed by the States of Haryana and Karnataka and drawn comparison with Crèche Guidelines. Despite certain similarities, the rules depart from Crèche Guidelines on certain parameters. From a compliance perspective, the question arises as to whether an employer shall follow local State rules or the National Crèche Guidelines, which one shall prevail. The Haryana Government has framed and notified the rules for providing crèche facilities on August 2, 2018. The Karnataka Government has framed draft rules for providing crèche facilities on July 21, 2018 but still need to be notified. The Ministry of Women and Child Development formulated these guidelines under the notified Section 11 A of the Maternity Benefit Act, 2017. This crèche facility is for the use of children below the age of 6 (six) years. This crèche facility is proposed to be extended to children of age groups of 6 (six) months to 6 (six) years. The crèche would remain open at all times, both day and night, when employees are working in the establishment. The working hours of the crèche shall correspond to the working hours of mothers. It shall work in shifts if women are employed in shifts spread over a period not exceeding 8 (eight) hours a day. The crèche preferably should remain open for 8 (eight) to 10 (ten) hours. The crèche would have a minimum space of 6 (six)-8 (eight) sq. ft. per child. The crèche would have not less than 5 (five) sq. ft. of floor area for each child. A crèche centre must have a minimum space of 10 (ten) to 12 (twelve) sq. ft. per child. The height of the rooms in the building would not be less than 12 (twelve) ft. from the floor to the lowest part of the roof. The height of the rooms shall not be less than 10 (ten) ft. from the floor to the lowest part of the roof. No such specification has been mentioned in the guidelines. A register of complaint would be kept in the crèche. There is no such provision provided in the rules. A Complaints Committee will be formed for addressing complaints and carrying out the investigation. A female attendant, cook, sweeper and chowkidar to be employed. A crèche attendant assisted by female ayahs to be employed. Childcare workers, helpers and one guard to be employed. A trained crèche-nurse would be appointed crèche-in-charge. A woman who has Government approved or recognized qualification and training in 'Early Childhood Care and Education' (ECCE) or 'Teachers Course Higher (TCH) or equivalent qualification shall work as crèche-in-charge. The minimum qualification for a crèche- -in-charge is a graduate. In furtherance to the Amendment Act, some employers in an effort to comply with the spirit of the law had taken interim measures such as extending crèche allowance to their employees and reimbursing them for third party crèche facilities availed by them. With these Crèche Guidelines in place, employers would definitely need to step up their efforts. The Crèche Guidelines are silent on several aspects such as who shall bear the cost burden and engagement of third party service providers. The extent to which these guidelines need to be abided by the employers is also uncertain since the nature of these norms is mentioned as a reference resource. Further, the objective of these minimum guidelines is only to provide a helpful start to the employers to guarantee standards of quality care at crèches operating within their premises. Although the guidelines offer no clarity on costs, other social welfare legislations like the Contract Labour (Regulation and Abolition) Act, 1970, Factories Act, 1948 place the burden of cost of crèche facilities on the employer. In furtherance to the Amendment Act, a Right to Information ("RTI") application was filed on 27th September 2017, inquiring regarding which party shall bear the cost. In response to the RTI query, the Ministry of Labour and Employment has replied that the cost/expenditure of crèche facilities is to be borne by the employer. Considering the practical challenges involved, corporates are keen on setting up a crèche run by a third party service provider that builds and manages the on-site or near site day-care centres, however, to what extent would it dilute the employers primary responsibility of compliance with the prescribed norms remains to be seen. India now has become one of the leading nations surpassing many European and Asian countries in terms of employee maternity benefits. It is crucial for employers to prepare a sound policy for providing crèche facility at workplace and mandate standards in accordance with the Crèche Guidelines. Only time would tell, how successfully employers are able to implement these Crèche Guidelines and with how much vigour the labour authorities choose to enforce them. Although desirable in larger public interest, this of course places additional compliance as well as cost burden on the employers. 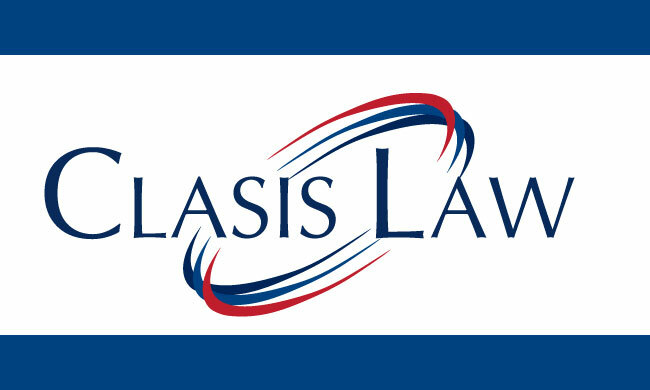 Clasis Law is a full service Indian law firm with a rich experience of advising international and domestic clients (ranging from individuals to multinational corporations) on various aspects of Indian laws across numerous industry sectors. With several partners recognized as leading experts in their field and acknowledged by industry peers for their in-depth expertise and know-how, together with highly trained teams, the firm is able to provide clients with bespoke solutions and exceptional service. Expertise within the firm spans a range of practice areas such as aviation, banking and finance, competition laws, compliances & audits, corporate governance, corporate & commercial, employment, energy, healthcare, hospitality & leisure, insurance, intellectual property, litigation and dispute resolution, insolvency & bankruptcy, projects and infrastructure, real estate, retail, shipping and technology, media & telecommunications. The core values of the firm are high degree of legal expertise, commitment to excellence, efficiency, integrity, focus and client care, all of which guide each member of the firm. Our commitment to our values enables us to consistently provide high quality, commercially relevant legal advice specific to our clients' needs. We strive to ensure that each and every client receives our best attention and services at all times. We pride ourselves in being a firm that works in accordance with the international standards of quality, timely delivery and transparency of billing. Our lawyers are trained to not only successfully handle but also to go beyond the client expectations. Recognising the growing market need to adhere to strict guidelines and budgets for transactions and other commercial requirements, the firm works closely with clients to ensure they are provided with valueadded, cost-effective solutions at all times, without compromising on quality or dedication. The transparent and clear billing arrangements promoted by Clasis Law build trust and confidence with clients.